Welcome back to our exclusive Casino4U blog. The place to find the most recent updates and important information. In this blog, I will be informing you all of the closure of HiLo Poker at mFortune Casino. As part of the ongoing dedication to offering the best quality mobile games in the business, Intouch Games will be removing HiLo Poker from their mFortune brand. This is immediately effective from the 19th February 2019. HiLo Poker will be removed to make way for exciting new games, currently in development. Texas Hold’Em Poker will remain available for the foreseeable future, so if you’re enjoying this, nothing will be affected. Intouch Partners are a great affiliate of ours so you will always receive the most up to date information regarding anything from bonus changes to newly featured casino sites. Above all, don’t be disheartened about the HiLo Poker game retiring from mFortune’s games library. Because this will only make room for the latest and greatest games. 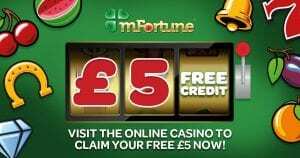 Certainly, mFortune Casino will remain the same powerhouse casino site. In addition, we would like to ask all readers of our blog posts to interact and submit your thoughts in the comments section found below. This is important for us to be able to assess what our players value most. As a result, we can focus on what is most important to our most loyal players. As always, we will continue to improve our services to you and offer only the most exciting offers and the best online casino sites. Finally, we encourage all of our players to gamble responsibly. Make sure you set your limits and always keep it fun. Remember that there are demo modes and free play options too if you do not wish to place a real money bet.